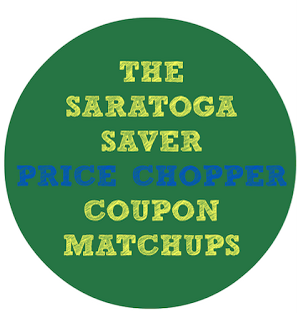 Price Chopper Weekly Coupon Matchups 5/15-5/21! It's a great week to combine the new saving star ecoupons + red plum coupons for some profitable, FREE & cheap items! Angus Beef Boneless NY Strip Steak - $5.99 lb. + Save 75¢ when you buy any THREE (3) BAR-S® Franks (Any Size/Flavor/Combo).Expires 6/11/2016.Save $0.75. + Save 75¢ on any ONE (1) Flavor of McCormick® Grill Mates® Premium Smoked Sausages 14 oz. Links & Loops.Expires 7/31/2016.Save $0.75. Vidalia Onions - $0.88 lb. + Save 60¢ on any TWO (2) Lipton® Recipe Secrets® Products.Expires 6/12/2016.Save $0.60. + Save 40¢ on any ONE (1) Lipton® Tea Bags, K-Cup®, Liquid or Powdered Iced Tea product.Expires 6/11/2016.Save $0.40. + Save 50¢ on any ONE (1) I Can't Believe It's Not Butter!® product (15 oz. or larger).Expires 6/12/2016.Save $0.50. + Save $1.00 on ONE (1) Persil® ProClean® Laundry Detergent (excludes trial/travel sizes).Expires 6/12/2016.Save $1.00. + Save $1.00 on any ONE (1) L'Oréal® Paris Advanced Haircare Shampoo or Conditioner product (excludes 1.7 oz. and 3 oz. trial size).Expires 11/19/2016.Save $1.00. + Save $1.00 on any ONE (1) L'Oréal® Paris Advanced Hairstyle product (excludes 1.7 oz. and 3 oz. trial size).Expires 11/19/2016.Save $1.00. + Save $3.00 on any TWO (2) Dove® Men+Care® Hair Products (excludes trial and travel sizes).Expires 6/11/2016.Save $3.00. + Save $1.00 on any ONE (1) CLEAR® Shampoo or Conditioner product (excludes CLEAR® Scalp & Hair™ Men and trial and travel sizes).Expires 6/12/2016.Save $1.00. + Save 50¢ on any ONE (1) Vaseline® Intensive Care™ Lotion (10 oz. or larger) or Vaseline® Spray Moisturizer (6.5 oz.) (excludes trial and travel sizes).Expires 6/11/2016.Save $0.50. + Save $1.00 on any ONE (1) Simple® Facial Wipes (excludes trial & travel sizes).Expires 6/12/2016.Save $1.00. Suave Kids Purely Fun Hair Care - carried? + Save $1.00 on any ONE (1) Suave® Kids Purely Fun Hair Care product (excludes trial and travel sizes).Expires 6/11/2016.Save $1.00. + Save $1.00 on any ONE (1) Suave® Men Hair Care Product (excludes trial and travel sizes).Expires 6/12/2016.Save $1.00. + Save 75¢ on any ONE (1) Suave® Body Lotion (10 oz. or larger, excludes trial and travel sizes).Expires 6/12/2016.Save $0.75. + Save $3.00 on any ONE (1) Advil® Allergy Sinus, Advil® Allergy & Congestion Relief, Advil® Cold & Sinus, or Advil® Sinus Congestion & Pain.Expires 6/30/2016.Save $3.00. The Montreal Steak McCormick Grill mates were price chopped to 2.99. The other brands were not marked with the same sticker. Thanks for the syrup deal, awesome at $1.00 a bottle.